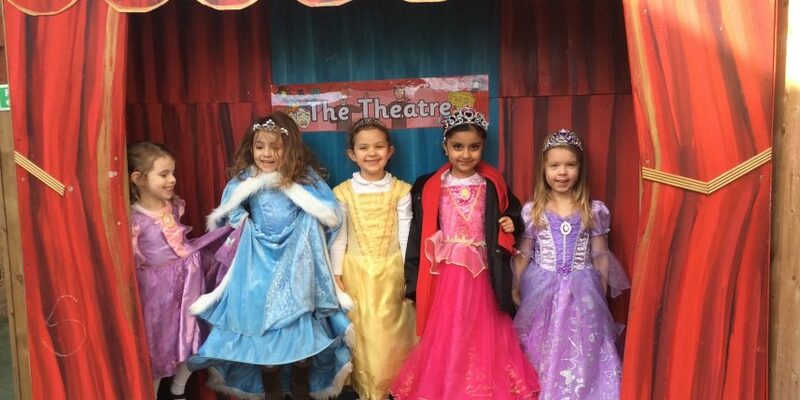 The school was awash with royalty on Friday, as Reception celebrated the end of their half termly topic, Kings and Queens. The children enjoyed learning about who the Queen is and what it takes to be a monarch. They have learnt about the different properties of a castle including turrets and drawbridges. They re-wrote the story of Cinderella and came up with some fantastic questions which they wanted to ask the royal family, including “Do you have British flag knickers?”! At lunch time, they feasted on a Royal Banquet in a decorated lunch hall, followed by fairy tales in the library in the afternoon.